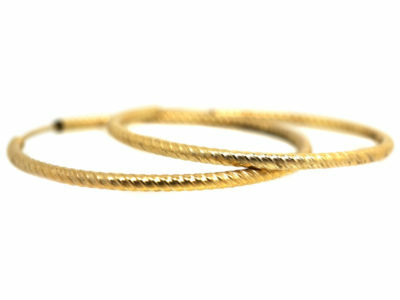 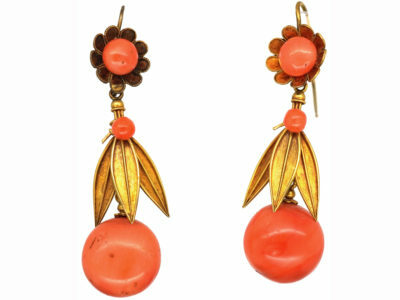 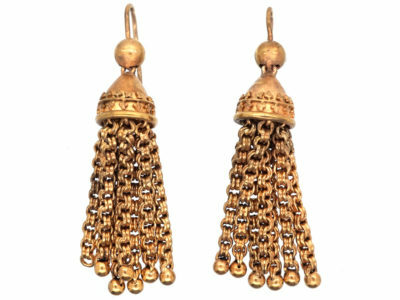 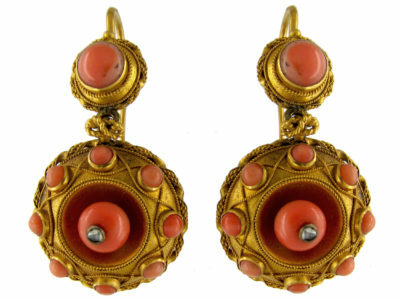 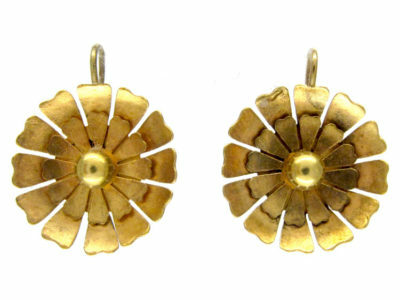 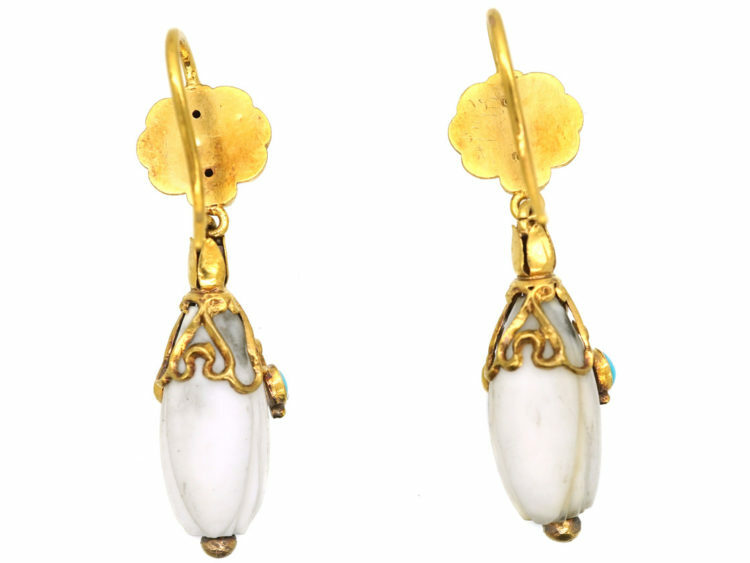 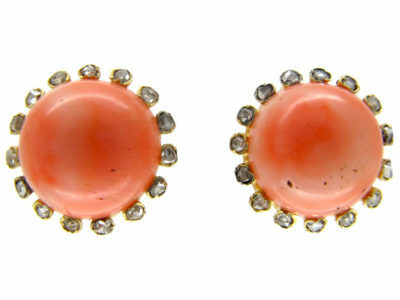 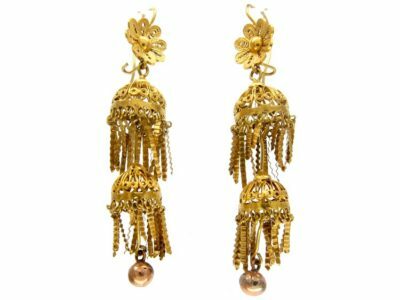 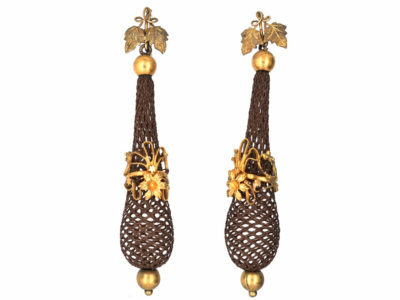 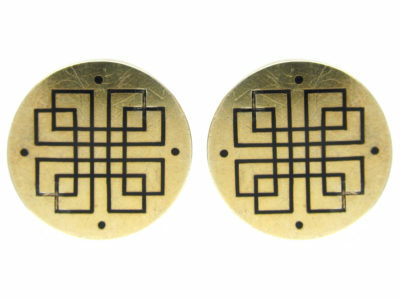 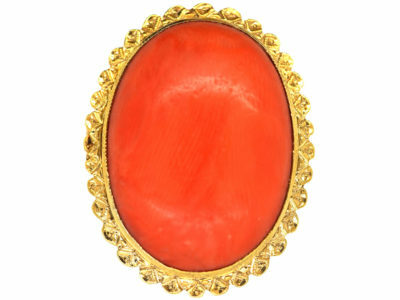 An unusual pair of 15ct gold earrings that were made circa 1820. 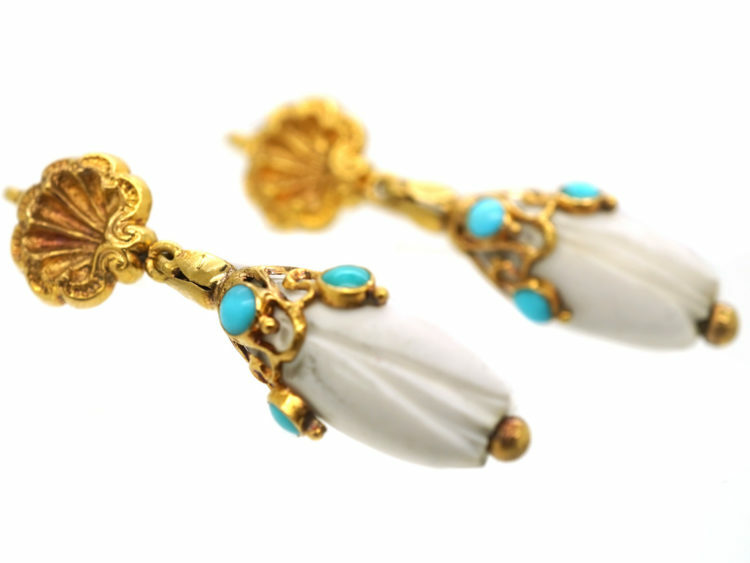 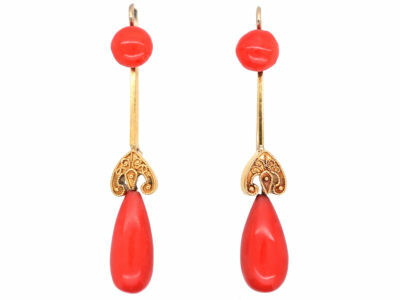 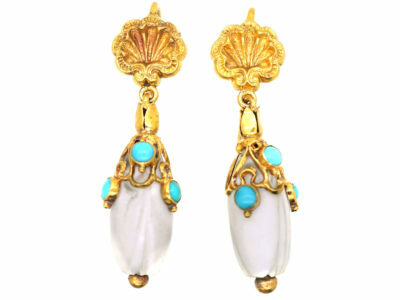 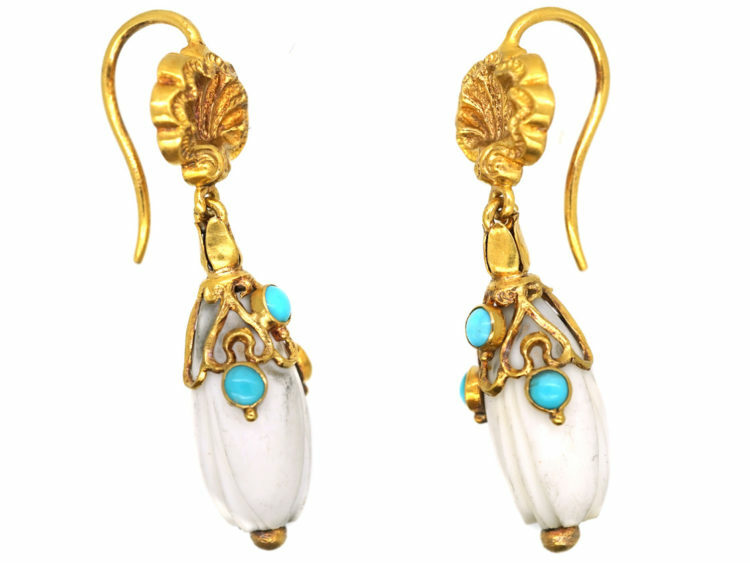 They are each set with carved white coral and three turquoise. 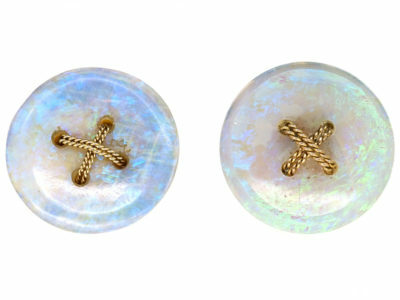 The tops are a shell design. 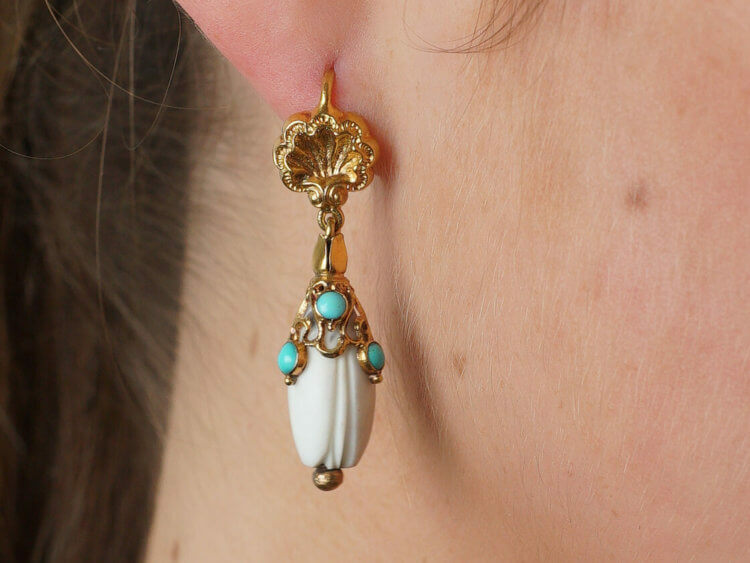 They look very pretty on the ear.